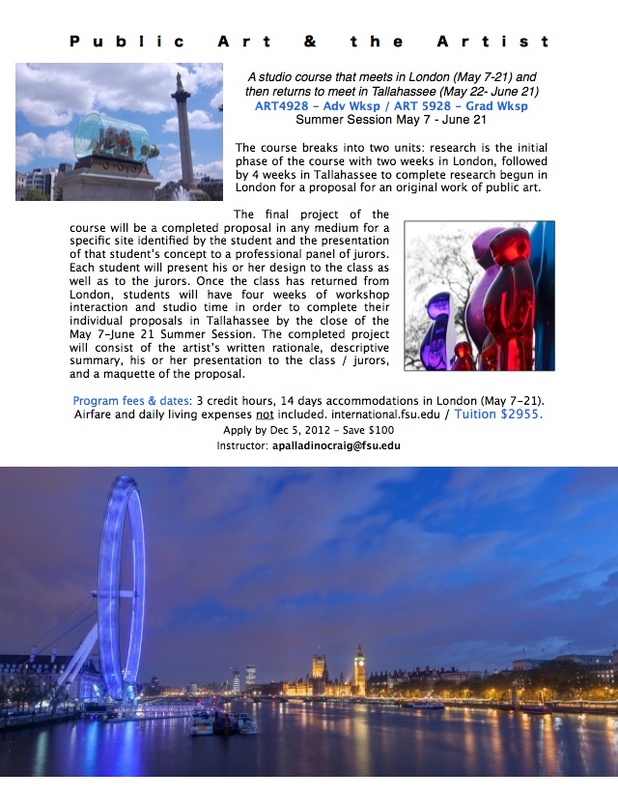 This is a studio art course offered in conjunction with the FSU’s International Programs. The first two weeks of the six-week course will be taught in London, and the last four weeks will be taught in Tallahassee. Apply early by December 5, 2012 and save $100!